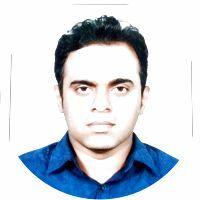 Praveen kumar reddy v is an experienced physiotherapist, available for physiotherapy services in Electronic City, Bangalore. Praveen kumar reddy v is specialized in Musculoskeletal physiotherapy services and can help with Knee Pain, Neck Pain, Back Pain, Shoulder Pain, Sciatica Pain, Joint Pain, Tennis Elbow, Cervical Pain. Book In-Home PHYSIOTHERAPIST appointment near Electronic City Now!